From left, Kortney Smith, Evy Sprick. and Reagan Grossoehme perform with the eighth grade band at the Blair Salad Supper. In addition to chili, salads and desserts, the Blair Instrumental Music program served up a musical feast during the 25th annual Soup and Salad Supper held at Blair High School. 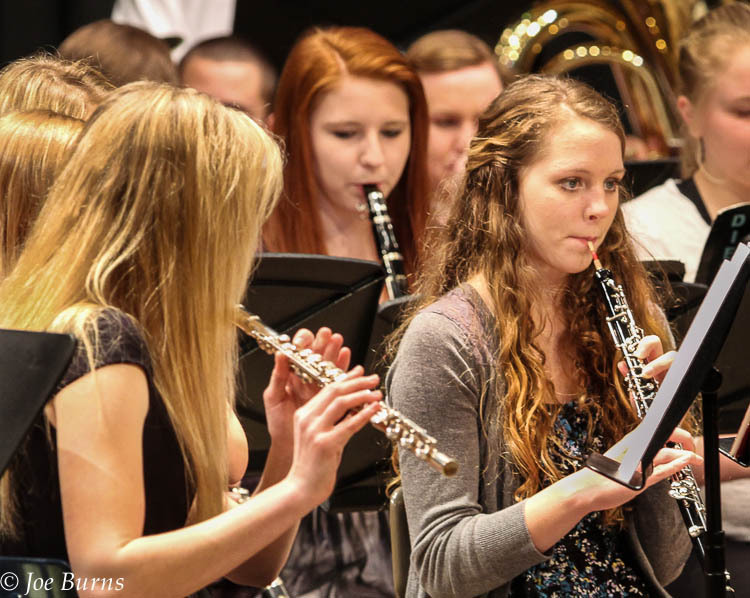 The event was a mini music festival featuring over 400 student musicians in grades 6 through 12. I always look forward to listening to the many fine bands, and I end up with many more images than could ever be published in the Enterprise newspapers. 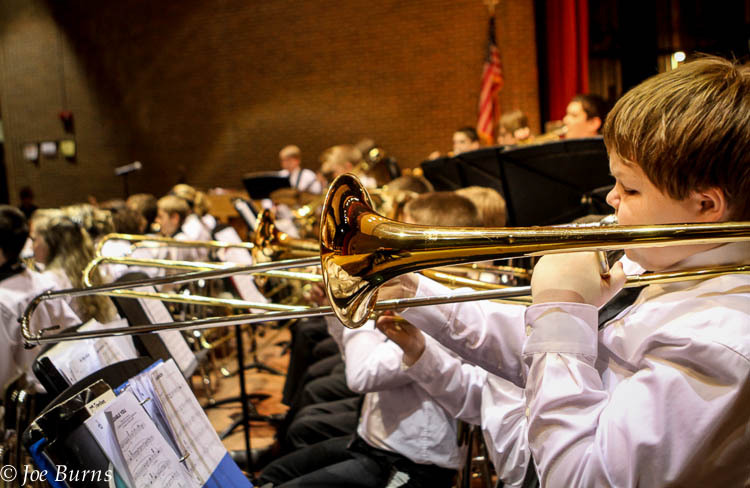 Seventh grade trombone player Cory Jahnel performs with the Otte Jazz Band. Otte Middle School instrumental music teacher Chiyo Kamada conducts the eighth grade band. From left, Kortney Smith, Reagan Grossoehme , and Evy Sprick perform with the eighth grade band at the Blair Salad Supper.